*Buy by 12/9/18. Valid for nonstop domestic travel to Denver, Las Vegas, and Florida, Sundays through Wednesdays, through Feb. 6, 2019. The following blackout dates apply: Dec. 20, 2018 - Jan. 6, and Jan. 17-18, 21-22, 2019. 3 day advanced purchase applies. More about this offer. Tickets must be purchased by 11:59 pm Eastern time on Dec. 9, 2018 for nonstop domestic travel to Denver, Las Vegas, and Florida, Sundays through Wednesdays, through Feb. 6, 2019. The following blackout dates apply: Dec. 20, 2018-Jan. 6, 2019 and Jan. 17-18, 21-22, 2019. 3 day advance purchase applies. 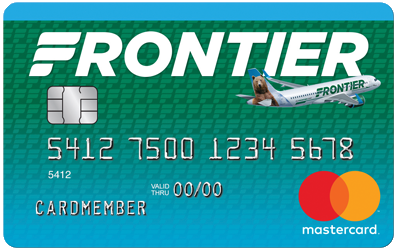 The 90% discount applies to base fare only, not to fees or taxes, and requires purchase at FlyFrontier.com using promo code SAVEBIG Promo code must be applied directly by customer on flyfrontier.com or requested of a Frontier Airlines Reservation Agent. Use of promo codes by third parties is expressly prohibited. All fare rules will apply. Certain flights and/or days of travel may be unavailable. Depending on the fare type purchased, nonrefundable tickets may be transferred (passenger name change) for a fee of up to $75, or reissued for alternate flights for a fee of up to $99, as well as a possible fare increase. The name change fee and itinerary change fee are not exclusive of each other. Previously purchased tickets may not be exchanged for these special fare tickets. Flight segment(s) must be cancelled prior to scheduled departure time or the ticket(s) and all monies will be forfeited.